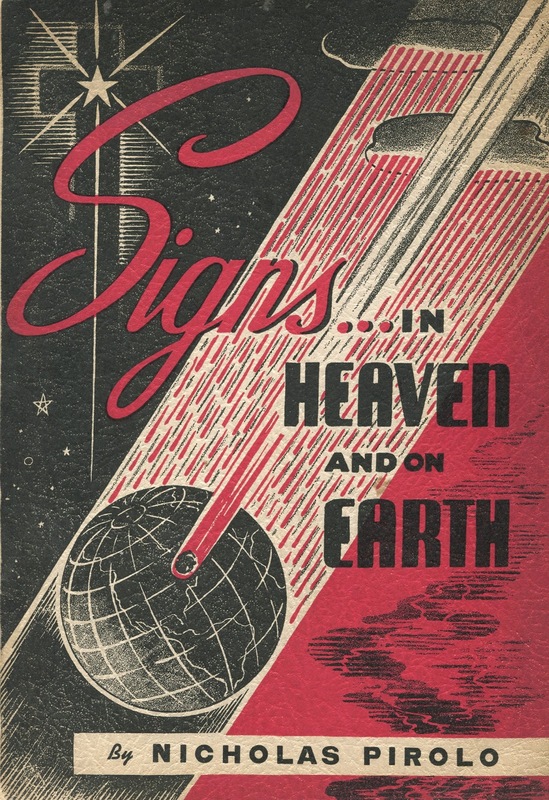 old time religion by Jim Linderman: old time religion Signs and Wonders which Prove the Bible! old time religion Signs and Wonders which Prove the Bible! In which evangelist Nicholas Pirolo "proves" Bible passages are true by finding "natural" events which correspond. For example, a ship being sucked out of the water and up into the atmosphere, A sign appeared in the sky over Milwaukee reading "666 is coming soon" and "an angel appeared in the sky in Finland facing towards Russia." Oh...and a gigantic devil snake appeared in the sky too. Oh...and a river ran red with blood in Michigan. All of them now documented and proven! Some 100 goofy examples!